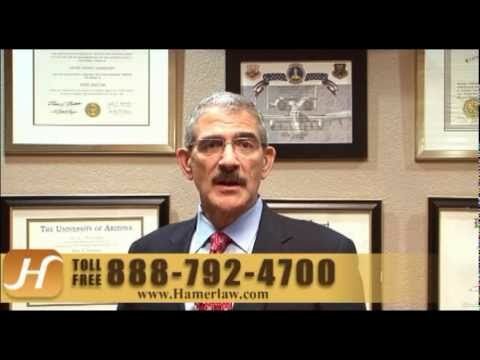 At The Hameroff Law Firm, P.C. we understand how frustrating it can be to have an accident with someone who is either uninsured or underinsured. It can be very difficult to fully recover financially and physically for your losses if the negligent party who caused your accident does not carry the proper amount of insurance, if any at all. We will use our more than 25 years of legal experience in Arizona to fight for the compensation you deserve. Contact our law firm today to schedule a free consultation with an Arizona attorney who has experience resolving disputes with insurance companies regarding uninsured and underinsured claims. You can rely on us for personal attention and dedicated representation. For your protection and the protection of those who ride in your vehicle, it is important to carry uninsured motorist coverage (UM) and underinsured motorist insurance coverage (UIM). This type of insurance allows you to recover from your own insurance company when accidents like these arise. Whether you were in a truck accident, car crash, motorcycle accident or hit-and-run, we will analyze your insurance policy to determine whether or not you are covered. Our lawyers will then pursue the insurance company for the damages you are entitled to receive. Whether your policy requires litigation, arbitration or mediation, we will fight to protect your rights at every turn. We help individuals throughout southern Arizona receive the compensation they need for lost wages, medical bills and other losses. We will assemble your medical records, bills and property damage in order to build a strong case for your full recovery. You pay a premium for your insurance coverage and should not be denied the money you deserve. If you have questions regarding how to obtain compensation when you have been injured by someone without insurance, please call our Tucson offices at 520.792.4700 or 1.888.792.4700 today. You may also contact our law firm online to schedule a free initial consultation.